I decided, sometime during the final hours of 2011, that 2012 would be a year of change. BIG. EXCITING. CHANGE. And it was. Not in the way I expected, but when does one ever really expect the changes that befall them. Three weeks in, I was knocked to the floor with news of my Ah Kong’s passing. Three months in, I called it quits on a career that I’d spent 5 years working towards and 4 years living in. Four months in, I jumped on a plane to France – my first trip to Europe and the first time Koji & I had spent that much time in each others’ presence without any chance of escape. Six months in, I packed my bags and flew the coop (properly this time)… 1km down the road from mum & dad’s. Nine months in, I chose a new career, flew all about the place training for it, and realised that it was the best choice I could ever have made. And in the final weeks, I finally signed a contract to start a new business (a prospect exciting and terrifying in equal parts). Until I spotted the bottle and the light and the glasses. The streamers and the candles and the somewhat-jaunty tablecloth. Because there is always cause for it. I’ll get to see my cousins twice and two years. We’ll go shopping at outlets and eat too much and sit, disquieted at how much older we’ve become. I’ll see yet another (or three!) of my friends get married and start on a life they would never have expected a few short years (or months!) ago. I’ll be working for myself, doing something that I love, helping people that I would never have ever met otherwise. Bad economy and statistical percentages of failure be damned. I’m going to make it work. And, to top it all off, I’m still here. You’re still here. There is hope in that. Cut the mango off the seed and remove the peel. Chop it into chunks no larger than 1cm x 1 cm. Tip the whiskey over the top and leave to macerate while you go about preparing the other elements. 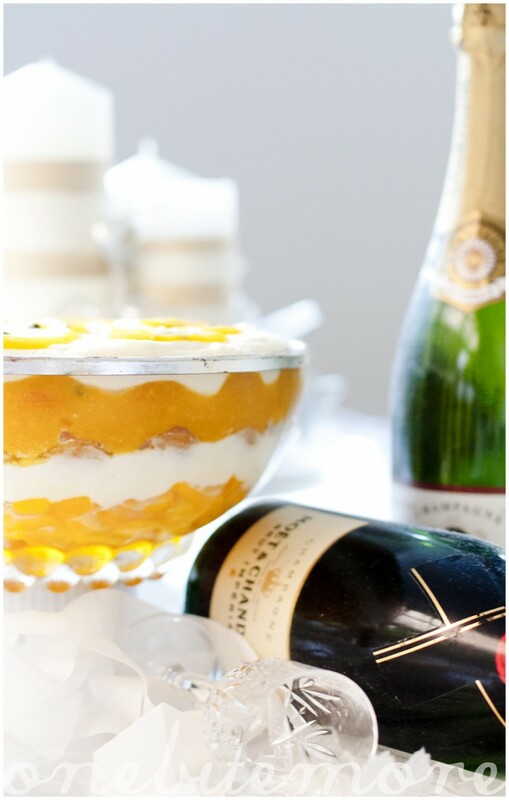 Place the egg yolks, sugar and sparkling wine into a metal bowl set over a saucepan of simmering water. 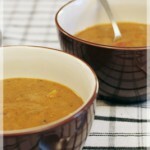 Whisk and whisk and whisk until the mixture is thick and creamy and tripled in volume. Remove from heat and pour the mixture into the marscapone, mixing as you go. Whip the egg whites until they form firm-ish peaks and fold that into the marscapone mixture too. It will be quite fluffy, but will set nicely in the fridge. Peel the mango and cut the flesh away from the seed. 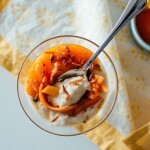 Pulverise the mango in a food processor until it is smooth. Add the passionfruit and the whiskey. When it comes time to assemble this layer, dip the biscuits briefly in the mixture and then lay them down in the trifle bowl. Continue until the layer is complete. If there is left over pulp at the end, tip it over the biscuit layer. 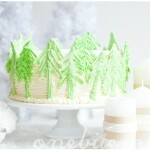 This is my entry into January’s Sweet Adventures Blog Hop – Tropical Paradise! Check out the other entries below. What a busy year for you! Good luck with it all 🙂 You’ll do great! Thanks for joining the hgop!! Wow! What a celebration indeed! This looks awesome! All the best with your new business! Congratulations! On the perserverance, strength, and your gorgeous posts. Salud! What a huge year! And I think I’m getting tipsy just reading this recipe 😉 Have a wonderful trip and here’s to a fabulous 2013! Holy cow!!!! Passion fruit, booze and trifle?! 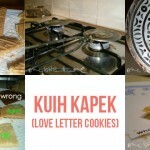 I just gained weight reading the recipe! may 2013 be an incredible year! What an amazing 2012 you had! Best wishes for a happy and successful 2013. This is a great post! Congratulations on all you’ve achieved last year and good luck in your new enterprise. 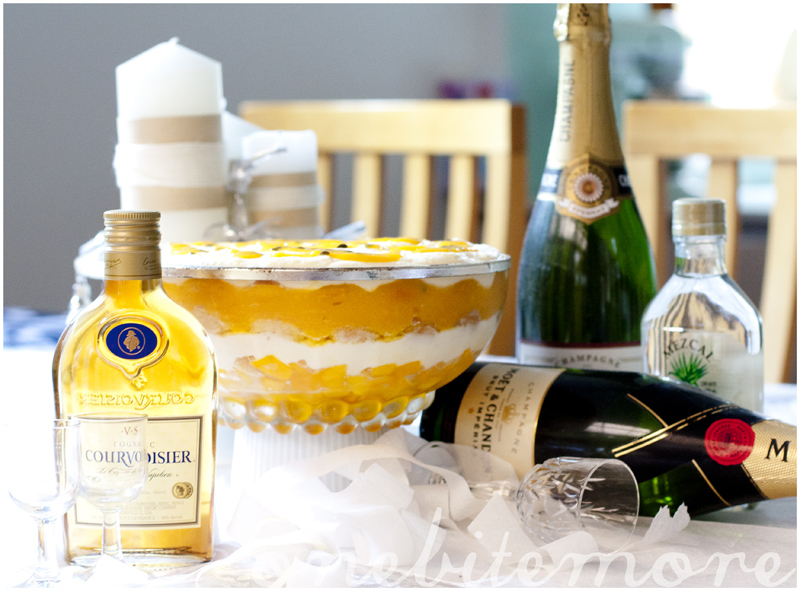 I love the amount of alcohol in this trifle!! My kind of dessert 🙂 All the best for 2013! Here’s to this year, Shez! 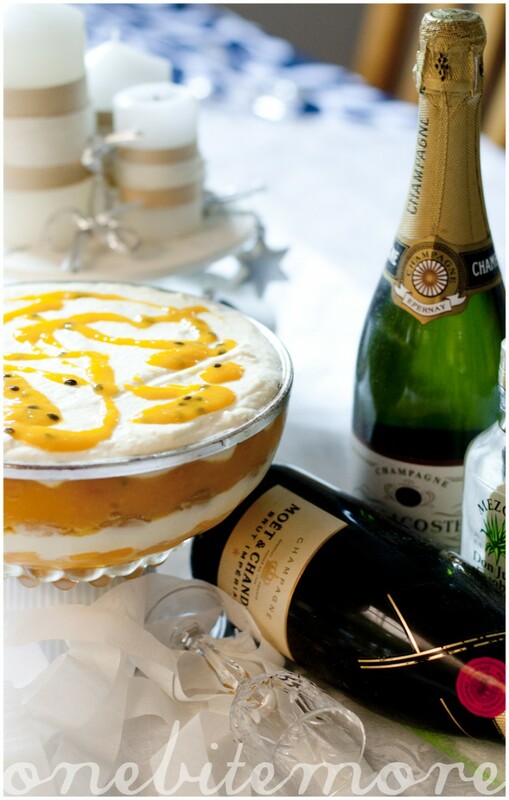 Sensational trifle and I am not going to wait until next Christmas to try this one! Sounds like 2012 was a huge year in many ways. I hope you’re enjoying Malaysia even if not for the most happiest reasons but I hope you have many treasured memories of your loved one. No booze means it’s not really a trifle. 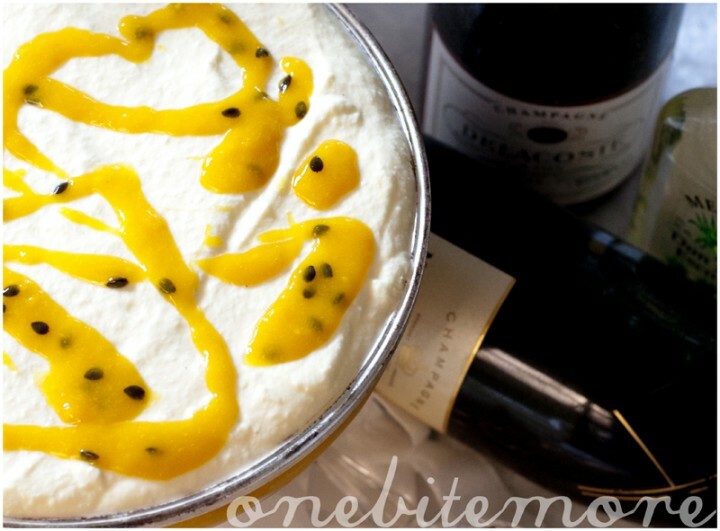 I love a good boozy trifle and this one hits all the highlights for me. I work for the government – this sounds like just the right amount of alcohol.